The number of US communities facing chronic seawater flooding could jump from more than 90 today to nearly 170 in less than 20 years, and as many as 670 by the turn of the 21st century, according to new climate change research from the Union of Concerned Scientists (UCS). Published July 12 in the peer-reviewed scientific journal Elementa, the UCS study is the first to analyze data encompassing coastline across the entire lower 48 continental US states and identify communities that will experience chronic, disruptive flooding to a degree that would require tremendous adaptation investments or result in complete abandonment. The study authors also single out the cities and towns where extensive, disruptive flooding might be avoided if rising mean annual temperatures were kept within the 2 degrees Celsius (2ºC) “tipping point” set out in the UN Framework Convention on Climate Change (UNFCCC) Paris accord. Consulting technical experts and residents of communities already experiencing disruptive flooding, UCS analysis established a reference baseline to determine levels and frequency of seawater flooding considered unmanageable. The threshold for “unmanageable” is considered when people in a community are not able to pursue the regular daily activities. 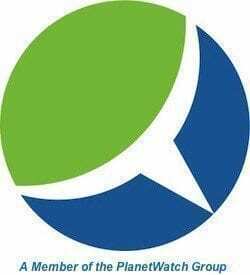 Specifically, the report pins that threshold at 10 percent or more of a community’s usable, non-wetland area being flooded at least 26 times a year, equivalent to disruptive flooding occurring once every other week. Communities established as county subdivisions as per Census Bureau standards exceeding this threshold level are officially deemed “chronically inundated,” UCS explains. Miami is rapidly approaching this level. City planners have already put emergency reconstruction plans into effect, spending hundreds of millions of dollars to raise the level of sidewalks and pavement abutting coastal properties. Officials are also assessing the viability of many coastal properties in light of expected rising sea levels, flooding and saltwater inundation of freshwater resources. Compounding rising sea levels and costs of inundation, areas of the continent are sinking. Communities in low lying coastal areas of Louisiana and Maryland are particularly at risk. 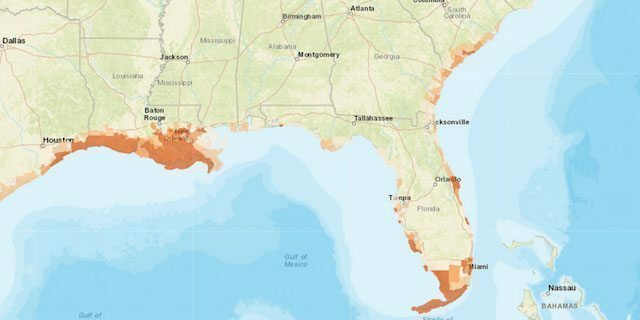 “Some 90 communities, mostly in Louisiana and Maryland where the land is also sinking, are already facing chronic inundation from sea level rise,” said Erika Spanger-Siegfried, senior analyst in the Climate and Energy Program at UCS, and a report author. An ominous coincidence, UCS points out the study was released on the same day the Larsen C ice shelf in Antarctica ruptured, sending a 2,200 square mile iceberg the size of the state of Delaware into the Southern Ocean. Furthermore, the study authors say that four of the five boroughs of New York City (not the Bronx) risk chronic inundation by the latter part of this century. “We hope this analysis provides a wake-up call to coastal communities—and us as a nation—so we can see this coming and have time to prepare,” Spanger-Siefried said. 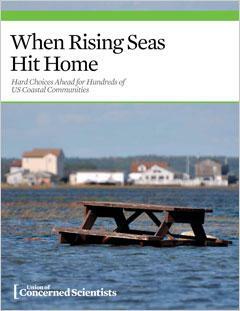 The complete study, “When Rising Seas Hit Home: Hard Choices Ahead for Hundreds of US Coastal Communities (2017),” is available to the public online for free.